Psicologa clinica, PhD, psicoterapeuta della Gestalt. Fondatrice e direttrice del CTP Training Institute for Gestalt Therapy di Madrid. Master in psicologia clinica, full member, membro onorario e past president della Spanish Association for Gestalt Therapy (AETG); full member dell’EAGT, del NYIGT, dell’EAP, del WCP, dell’IGTA, dell’AAGT. Trainer e supervisore internazionale, specializzata in processi di elaborazione del lutto, delle perdite e del trauma. Formata in analisi transazionale e PNL. Ha fondato e co-dirige la casa editrice Asociación Cultural Los Libros del CTP. Autrice di svariati libri e articoli sulla psicoterapia della Gestalt, ha tradotto in spagnolo molti testi di terapia della Gestalt, tra cui il testo fondativo Gestalt Therapy: Excitement and Growth in the Human Personality. Fondatrice dell’International Gestalt Therapy Writers, membro del comitato scientifico di diverse riviste di Gestalt tra cui Gestalt Review, Studies in Gestalt Therapy, Quaderni di Gestalt, CuadernosGestalt. Ph.D., Clinical Psychologist. Gestalt psychotherapist. Founder and director of the Centro de Terapia y Psicologia.-CTP in Madrid, Spain. Founder and director of CTP Training Institute for Gestalt Therapy. ECP of EAP. Master in Clinical Psychology. 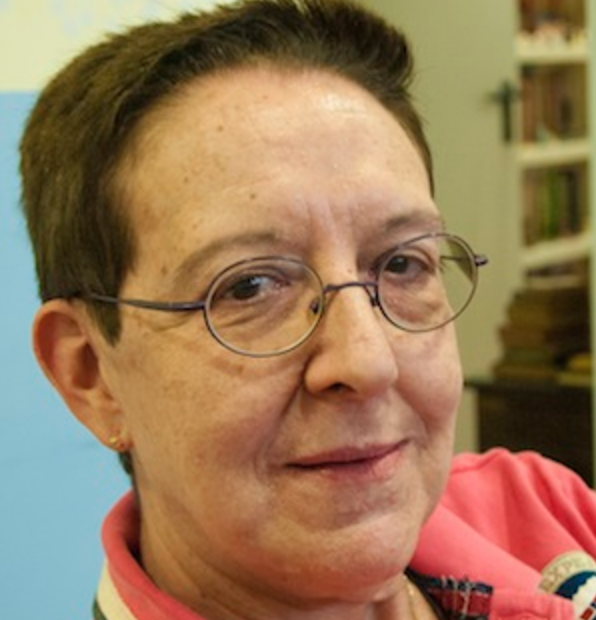 Full member, honorary member and past President of Spanish Association for Gestalt Therapy (AETG); Full member of European Association for Gestalt Therapy (EAGT); New York Institute for Gestalt Therapy (NYIGT); European Association for Psychotherapy (EAP); World Council for Psychotherapy (WCP); IGTA; AAGT among others. International Gestalt Therapy trainer and supervisor. Expert in Communication. Specialised in the processes of mourning and grief. Training in Transactional Analysis and NLP. Co-director of the Gestalt Therapy publishing company: Asociación cultural Los Libros del CTP. Author of books, chapters and papers about Gestalt Therapy. Translator into Spanish of books and papers about Gestalt Therapy, including the foundational book: “Gestalt Therapy: Excitement and growth in the human personality”. Founder of International Gestalt Therapy Writers in Spanish Conference (2001). Member of Scientific Board of some journals such as Gestalt Review, Studies in Gestalt Therapy, Quaderni di Gestalt, CuadernosGestalt among others.